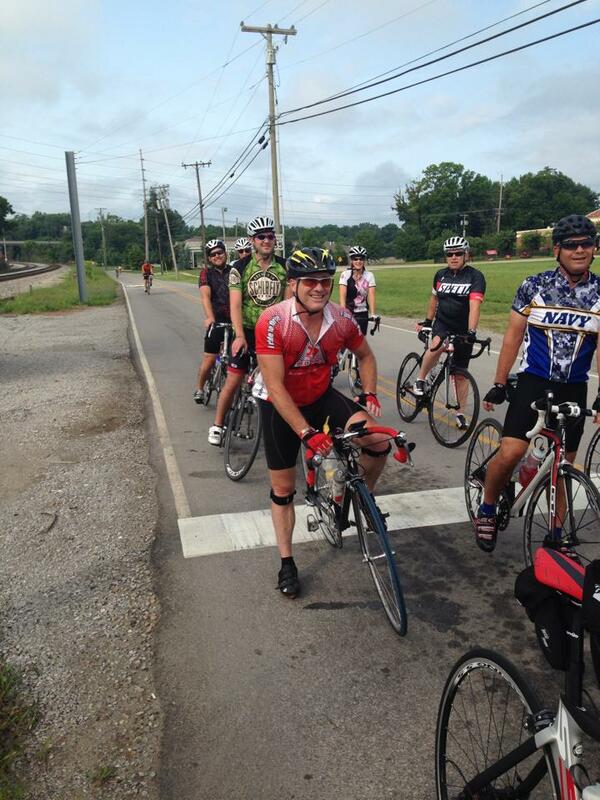 I rode in the Kentucky Tour de Cure in June, 2015. Great ride. Great day! Lately I’ve been training for a couple other rides, especially a century in the Bike to Beat Cancer in September. I’m a person who has lived with Type 1 Diabetes for more than 43 years. It makes sense to ride in an event to raise money for diabetes research. But why ride 100 miles in an event to raise funds for cancer? Part of the answer to that question is pretty obvious, but another part, the most important part I believe, is not so obvious. Obviously, cancer is a huge issue for many people. I’m guessing you know someone who has or has had cancer. I do, and I have. My mom died 14 years ago from leukemia, a cancer of the blood. My wife and I have had good friends, from our church and from the college we both graduated from, who have lost their battle with the disease or who are in the throes of the battle right now. I hate what cancer does to people who are unfortunate to have it and deal with it. I’m riding to raise some money for cancer research, awareness, and advocacy. I’m riding for individuals and the families of people affected by the disease: Betty, Ed, Carolyn, Yvette, Carole and Steve, Renae, and many others. As important as those reasons are, however, there’s something else. Over the years, I’ve found that people who live with difficult circumstances deal with them in one of two ways. Some people look inward with anxiety. They usually also look forward with fear. But others look upward with an unexplainable hope, and they look outward with compassion. Carole Swoboda Testimony from Northeast Christian Church on Vimeo. Steve Swoboda Testimony – Easter 2015 from Northeast Christian Church on Vimeo. The lesson I’ve learned over the years is to keep my focus upward and outward, in that order. I find it so much easier to live well with my diabetes when I keep my eyes focused outward, on others. And I’ve also discovered that the best way to stay focused outward is to keep my focus upward every day. It makes all the difference in the world. I’d love to hear your story. How does your focus affect how you live with the life circumstances that have been dealt to you?